Slingo Boom is the latest addition to Gaming Realms’ growing catalogue of Slingo games. 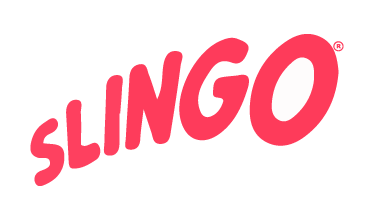 Combining bingo and slots into one game, Slingo was launched on its own site earlier this year. Slingo Boom is a new multiplayer variant of the game which acts more like a traditional bingo game, while still maintaining the fast pace of the original game. In Slingo Boom, players are given a 5x5 bingo card. Numbers are drawn five at a time, and if any appear on your ticket, they’ll be marked off. There are three prizes in Slingo Boom - a one Slingo (line) prize, a two Slingo prize and a Coverall prize. Slingos can be earned vertically, horizontally or diagonally, so the first two prizes can be snapped up pretty quickly. Currently, there are two Slingo Boom rooms on Slingo. One is completely free to play (with a £1 prize pot), while tickets to the second room cost £1 each (with a £28 prize pot up for grabs). Both rooms feature chat too, just to add to the bingo experience. If you want to try Slingo Boom out for yourself, head to the free room right now and try your hand! Gaming Realms has also launched a second version of Slingo too, based on the hit TV show Deal or No Deal. Slingo DOND has a huge £100,000 jackpot, and some new rules which match the TV show. Players need to pick a box, and then match numbers to eliminate the other boxes on display. When the player has made enough Slingos, they can choose to open their box (and accept the prize inside), take an offer from the infamous Banker, or continue playing to eliminate more boxes. Slingo DOND is only available as a paid game, so if you want to try it out, you’ll need to make a deposit. Head to Slingo and try the two new variants out for yourself!